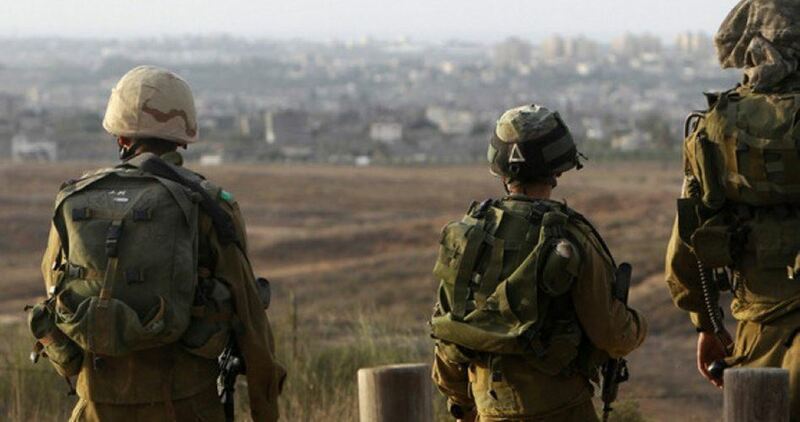 The Israeli occupation army on Sunday morning opened fire at Palestinian farmers working close to the border between the Gaza Strip and the 1948 occupied Palestinian territories. The PIC reporter said that the Israeli forces, stationed on the Israeli side of the border fence, opened fire at Palestinian farmers east of Khan Younis city in the southern Gaza Strip. He added that no injuries were reported in the attack. 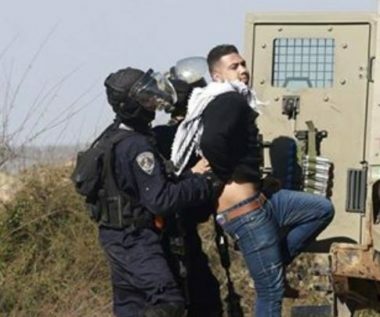 The Palestinian prisoner Ahmed Rimawi, 26, declared an open-ended hunger strike in protest against his illegal detention in Israeli jails without charge or trial. 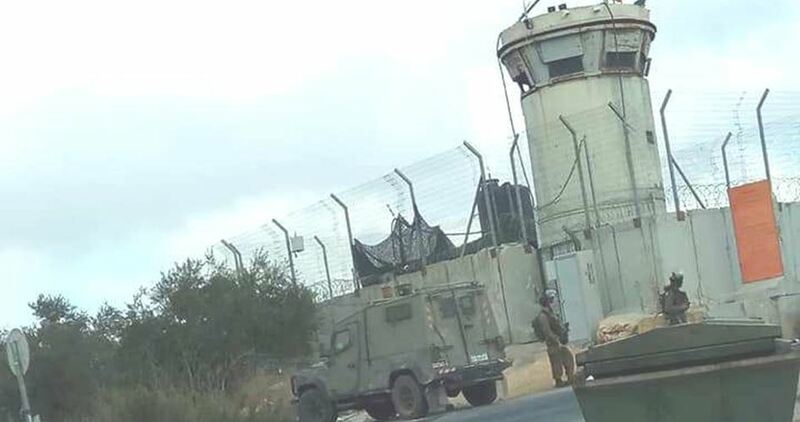 The Israeli Occupation Forces (IOF) erected on Sunday a military checkpoint at the entrance to Deir Istia town west of Salfit without any prior notice. Eyewitnesses said that IOF soldiers stopped and searched a number of Palestinian vehicles at the checkpoint. The drivers were also insulted and threatened. Similar military restrictions are regularly imposed in West Bank cities and towns for allegedly looking for “wanted” Palestinians. Israeli police said on Saturday they were investigating the death of a Palestinian woman in the occupied West Bank after her husband said he suspected Israeli settlers had pelted their car with rocks. Reuters was unable to independently verify the circumstances of the incident but footage of the car, which a Reuters cameraman said bore Palestinian licence plates, showed what appeared to be a blood-stained broken brick at the foot of the passenger seat, which was covered in shattered glass and blood stains. A source at the Nablus hospital where Aisha al-Rawbi was brought said the 47-year-old was dead on arrival and that she had suffered a head injury. Her relatives said an autopsy was to be carried out at another hospital. The woman’s husband, Aykube al-Rawbi, 52, said he was driving by a settlement late on Friday after dark along the main road near the Palestinian city of Nablus and that he could not clearly see who pelted the car. “The stones came from the side where the settlement is. I could hear the people speak Hebrew, but I didn’t see them,” said al-Rawbi. “Given that we’ve actually had this kind of push upon us – we felt that it was expedient to actually recenter the issue back on Palestine,” Abu-Shanab told Radio New Zealand. Lorde cancelled her concert in Israel that same month after a campaign by the Boycott, Divestment and Sanctions (BDS) group, which campaigns for Palestinian rights, that included the open letter published by Sachs and Abu-Shanab. United Nations Special Coordinator for the Middle East Peace Process Nickolay Mladenov condemned on Sunday the murder of Palestinian woman by extremist Israeli settlers in West Bank. In a statement, Mladenov said: “I condemn this Friday’s attack in the occupied West Bank in which a Palestinian woman, Aisha al-Rabi, a mother of eight, was killed and her husband was injured by stoned thrown by Israeli assailants. Greetings of steadfastness and constant struggle. Once again, the masses of Gaza stand in the front lines, confronting the Zionist imperialist onslaught, their lives and health on the line to defend their great cause. First, they realized the historical moment – that the Palestinian cause, in all of its dimensions, is threatened with actual liquidation. Despite their suffering under a criminal siege, facing starvation, murder and intimidation, they did not hesitate to mobilize all of their energies to meet the calls of the national committee for the March of Return and Breaking the Siege. The masses of our people and their militant activists know for certain that this is the main obstacle to the criminal “deal of the century,” because it is precisely the embodiment of the collective collective will, with the rifle of the resistance which has disrupted the maze-like process of the Oslo Accords and the forces that grew from it, organized in the institutions of the Authority and its reactionary agencies. There is no rational person who can accept the further imposition of further sanctions on the masses of Gaza as anything other than a way to advance the policies of Trump and Netanyahu. There is no rational person who can rely on the support of the reactionary regimes of the region to support the struggle of the Palestinian masses. Since the beginning of the movement, the criminal occupation forces have been confronted with confidence and steadfastness. The fighters and activists of the revolutionary forces are demanding more than others to push for an escalation of the struggle in all its dimensions, being careful not to allow Gaza to be singled out or left alone. The revolutionary forces, including the fighters of the Popular Front for the Liberation of Palestine and the Abu Ali Mustafa Brigades, have not and will never abandon the masses with their advanced positions. They have not hesitated since the beginning of the marches, their blood has been shed as a symbol of loyalty to the masses of our people. Among these heroic strugglers is the fighter Ahmad Ashraf Abu Hussein, a son of Jabaliya, who marched with his comrades and whose blood was shed on the sands of Gaza on 13 April 2018. We also salute the heroic fighter Ahmad Abdullah al-Adaini, the son of Deir al-Balah, shot in the head as he marched for return. It was not more than two months before the heroic fighters Ahmed Abu Tayour from Rafah and Ataf Mohammed Musleh Saleh from Jabalya refugee camp were killed. One week later, Ayman Nafez al-Najjar and Muhannad Jamal Hanoudeh from Jabalya were martyred on 16 July 2018. Two days later, the heroic struggler Mohammed Abu Naji, from the Tal al-Zaatar refugee camp in Gaza, was killed. The strugglers of the Popular Front for the Liberation of Palestine also recognize that the continuation and escalation of the Great Marches of Return is also conditioned on the development of the activities of mass struggle throughout the rest of Palestine and in effective communication with the population of the refugee camps in neighboring countries. More than ever, the Arab revolutionary left, especially in neighboring countries, has a responsibility to strengthen its confrontation of the imperialist onslaught on the region, in direct response to Arab reactionary forces’ collusion, and its confrontation of all forms of normalization with the Zionist entity by all available means. 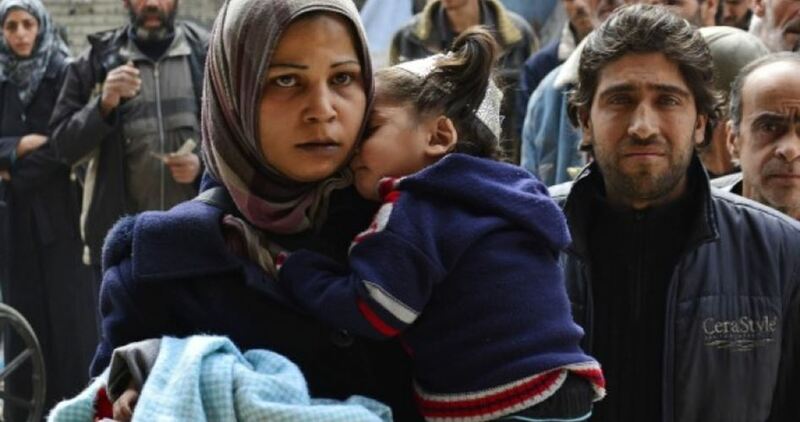 It is not reasonable that the refugee camps in the countries around Palestine remain outside the framework of struggle by virtue of the positions of the bourgeois regimes, who pay lip service to solidarity in some cases and are practically complicit in the situation in all cases. It is not reasonable to encircle or besiege refugee camps in neighboring countries and then express verbal solidarity with the heroes of Gaza. The stage which the Palestinian cause is confronting today and the stormy crisis in all of the states and entities of the region impel all revolutionary forces to work hard to form frameworks for joint movement and communication with all other fronts of struggle in the region and the world. Together, only together comrades, we can move forward to confront the imperialist onslaught. Of course, it is not enough for the militants in Beirut, Damascus and Amman to celebrate solidarity with Gaza. It is urgent and necessary for all to bear their responsibilities in the refugee camps in the immediate neighboring countries, because the cause – not only the revolution – is being targeted, but the cause; indeed, escaping from the maze of Oslo requires that, the release of the prisoners requires that, ending security coordination requires that, ending the scandalous division requires that. 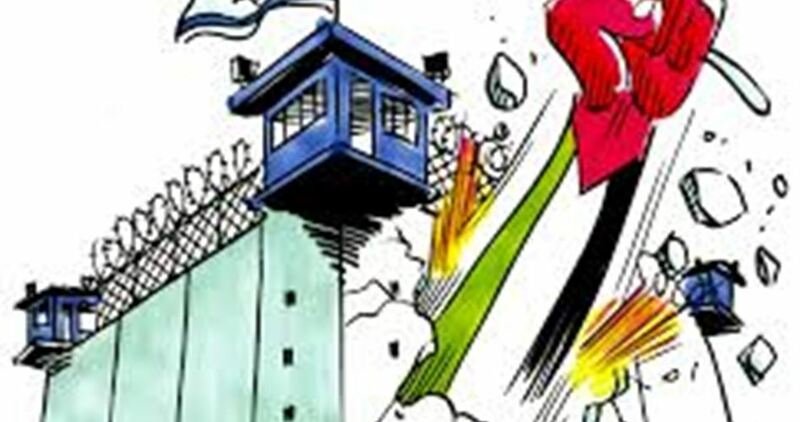 True solidarity with the Great Return March, in honor of the glory and immortality of the martyrs, for the victory of the masses and the struggling peoples and the shame of the traitors and those who surrender, is to overthrow imperialism and its agents – the Zionists and the Arab reactionaries. My sincere greetings to all of you. مرة أخرى تقف جماهير غزة في الطليعة بمواجهة الهجمة الامبريالية الصهيونية، تهب بشيبها وشبابها دفاعاً عن قدسية القضية، قبل غيرها أدركت بحسها التاريخي أن القضية الفلسطينية بكامل أبعادها مهددة بالتصفية الفعلية، وها هي بالرغم مما تعانيه من حصار مجرم وتجويع وقتل وترويع لا تتردد في حشد كل الطاقات لتلبية نداءات الهيئة الوطنية العليا لمسيرة العودة وكسر الحصار. جماهير شعبنا وطلائعها المناضلة تعلم حق اليقين أنها هي بالضبط العقبة الفعلية الأساسية أمام صفقة القرن المجرمة، لأنها هي – وبالضبط هي- تجسد الإرادة الجمعية المقاومة المتمثلة بالبندقية المقاومة التي عصت على متاهات اتفاقات أوسلو والقوى التي نمت، وانتظمت في مؤسسات سلطتها وأجهزتها الرجعية. وبرغم كل ما أحدثته سياسات التفريط بالمسلمات الوطنية من شروخ وتشويه للوعي الجمعي الفلسطيني، لا تزال جماهير غزة وطلائعها المناضلة تتصدى بثبات لمناورات الابتزاز وتدفع باتجاه العمل على إنهاء الانقسام الجريمة ورأب الصراع والتحذير من مغبة انزلاق بعض القوى الانتهازية إلى مواقع القوى المتواطئة مع العدوان ومع صفقته التصفوية. ما من عاقل يقبل أن يرى في فرض المزيد من العقوبات على جماهير غزة مدخلاً للتصدي لسياسات ” ترامب” و”نتنياهو” ما من عاقلٍ أيضاً يمكن أن يراهن على دعم الأنظمة الرجعية في المنطقة لنضال جماهير شعبنا. جماهير غزة منذ بداية الحراك تواجه القوى المجرمة بثقة وثبات، مناضلو ومناضلات القوى الثورية مطالبون أكثر من غيرهم بالدفع باتجاه تصعيد النضال بكل أبعاده، والحرص كل الحرص على عدم السماح بالاستفراد بغزة. القوى الثورية وفي الطليعة منها مناضلات ومناضلو الجبهة الشعبية لتحرير فلسطين وكتائب الشهيد أبوعلي مصطفى، لم ولن يخذلوا الجماهير يوماً في المواقع المتقدمة لم يترددوا منذ بداية المسيرات في بذل الدماء الزكية عربون وفاء لجماهير شعبنا ورايات تحرره فها هو المناضل البطل أحمد أشرف أبو حسين ابن جباليا البار يسبق رفاقه ويروي من دمه تراب غزة الأبية بتاريخ 13 نيسان 2018، لم يتأخر عنه كثيراً المناضل البطل أحمد عبدالله العديني ابن دير البلح البار حيث أصيب بجرح في الرأس، ولم يمضِ أقل من شهرين حتى استشهد كل من المناضل البطل أحمد أبو طيور من رفح، وعطاف محمد مصلح صالح من مخيم جباليا، وبعد أسبوع استشهد البطلان أيمن نافذ النجار ومهند جمال حمودة من جباليا بتاريخ 16 تموز 2018، وبعد يومين استشهد المناضل البطل محمد أبو ناجي من مخيم تل الزعتر بغزة. ليس بخافٍ على مناضلات ومناضلي الجبهة الشعبية لتحرير فلسطين أن استمرار وتصاعد مسيرات العودة الكبرى مشروطاً أيضاً بتطوير فعاليات النضال الجماهيري في باقي أرجاء فلسطين، وفي التواصل الفاعل مع تجمعات اللجوء في بلدان الجوار القريب، أكثر من أيِ وقتٍ مضى تقع على عاتق اليسار الثوري العربي لاسيما في بلدان الجوار القريب مسئولية تعزيز فعاليات مواجهة الهجمة الامبريالية في المنطقة، والتصدي المباشر للقوى الرجعية العربية المتواطئة ومناهضة كافة أشكال التطبيع مع الكيان الصهيوني بالوسائل المتاحة. ليس من المعقول أن تبقى مخيمات اللجوء في الجوار القريب خارج إطار المواجهة بحكم موقف الأنظمة البرجوازية المتضامنة لفظياً في بعض الحالات، والمتواطئة عملياً في جميع الحالات، ليس من المعقول أن تحاط مخيمات اللجوء في بلدان الجوار ويدّعون بعد ذلك بالوقوف مع أبطال غزة. إن المرحلة التي تمر بها قضية فلسطين والأزمة العاصفة بكل كيانات المنطقة تدفع بكل الطاقات الثورية للعمل حثيثاً لتشكيل الأطر المؤاتية للتحرك والتواصل مع كافة جبهات النضال الأخرى في الإقليم والعالم. معاً أيها الرفاق فقط … معاً يمكننا التقدم إلى الأمام في مواجهة الهجمة الامبريالية، طبعاً لا يكفي أن يقف المناضلون في بيروت ودمشق وعمان ويحتفلوا بالتضامن مع غزة، بات من الملح والضروري أن يتحّمل الجميع قسطه من المسئولية في مخيمات اللجوء وفي بلدان الجوار القريب، فالقضية لا الثورة فحسب هي المستهدفة بشكل مباشر، الخروج من متاهات أوسلو يستلزم ذلك، تحرير الأسرى يستلزم ذلك، وقف التنسيق الأمني يستلزم ذلك، إنهاء الانقسام الفضيحة يستلزم ذلك. التضامن كل التضامن الفعلي مع فعاليات مسيرات العودة الكبرى، المجد والخلود لشهدائنا الأبرار، النصر للجماهير والشعوب المناضلة، العار للخونة وسائر المستسلمين، لتسقط الامبريالية وكلاب حراستها الصهاينة والرجعيون العرب. Israeli forces, on Saturday, destroyed a water pipeline and sealed several roads in the village of Kafr Qaddoum, near Qalqilia city, in the occupied West Bank, local sources said. 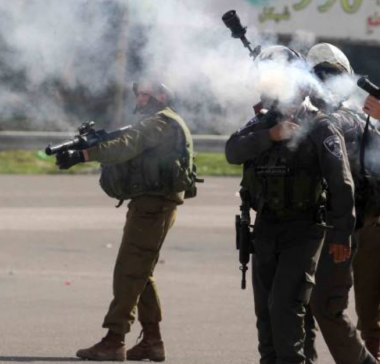 Israeli measures in the village sparked confrontations with local residents, upon which an old woman was reportedly hit by a teargas canister, in her mouth, by the soldiers.